Waste Management, Inc. (NYSE: WMI) announced today the declaration of a quarterly cash dividend of $0.24 per share payable December 19, 2007 to stockholders of record on December 3, 2007. The Company also announced today that its Board of Directors has authorized the purchase of up to an additional $300 million in common stock in addition to its current capital allocation plan. The Company's current capital allocation plan lasts through the end of 2007 and provides for $1.2 billion annually on share repurchases and dividends. In March 2007, the Board of Directors increased the authorization for share repurchases in 2007 by an additional $600 million. Through the first ten months of 2007, the Company has repurchased approximately $1.15 billion of stock, or over 32 million shares, and paid cash dividends of $374 million. From the inception of the capital allocation plans in 2002 through October 31, 2007, Waste Management has returned over $6 billion in cash to shareholders. "The Board of Directors and management believe that the current stock price is not reflective of the true value of the Company. 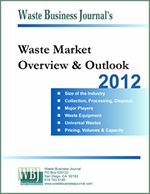 Waste Management has continued to produce strong and improving financial results, yet the share price is significantly off its 52-week high," said David P. Steiner, Chief Executive Officer of Waste Management, Inc. "As a result, we believe it is prudent to take advantage of this opportunity for significant return on investment through increased share repurchases." Waste Management, based in Houston, Texas, is the leading provider of comprehensive waste management services in North America. Our subsidiaries provide collection, transfer, recycling and resource recovery, and disposal services. 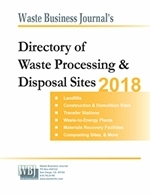 We are also a leading developer, operator and owner of waste-to-energy and landfill gas-to-energy facilities in the United States. Our customers include residential, commercial, industrial, and municipal customers throughout North America.